I really love a good lip treatment. I have tried quite a few over the years and have a some favourites in my arsenal to keep my lip supple and feeling good. I have repurchased this countless times. It in my handbag all the time for quick on the go application. This delectable lip treat stays next to my bed. It has a light coconut scent which sends me into holiday mode. However, not only does this little jar of goodness smell so delicious it contains Coconut Oil Tocotrienols, which is a form of Vitamin E that drenches your lips in moisture. I would love this to come in a stick formula for all day use, as I'm not one to stick my fingers in the jar if I feel they are not 100% clean. The jar lasts quite a long time as the formula is packed tight in the jar, but melts into the lips on application. This is one of my favourite Super By Dr Nicholas Perricone products. My lips definitely are LUSH after using this product. This product is most like your traditional Lip Balm. This product is meant to help with wrinkles around the mouth area with the inclusion of Sea Fennel and Hyaluronic Filling Spheres to help add volume to the lips. Honestly I have not noticed this particular benefit. It is a good hydrating lip product. I do wish it felt a bit more pliable on the lips and only seems to melt onto the lips when the weather is hot. This lip treatment is by Chantecaille, a niche brand which I recently discovered and I am loving. They have innovative formula's using cutting edge technology. This lip treatment also has Vitamin E and Shea butter to nourish and hydrate. The product in the jar is softer that the Super Lush Lips, so it is easier to apply. The downside is that it gets used up much faster. 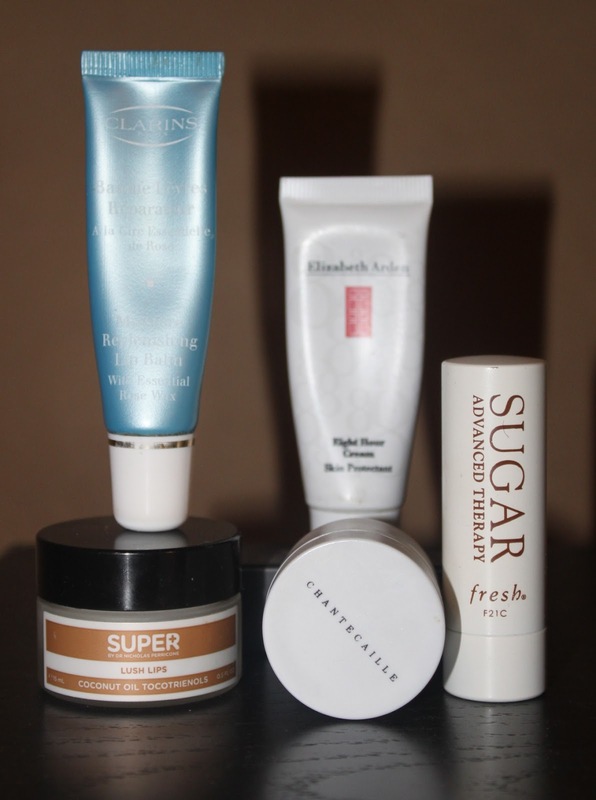 It does work really well in keeping my lips chap-free and is a good overnight treatment. I wake up am my lips still feel soft. This is the work-horse of the group. The consistency is quite thick and sticky. I think it makes a great moisture barrier by virtue of this consistency. The scent reminds me of regular petroleum jelly - which I think could be approved upon. It also relies on the benefits of Vitamin E. Included as ingredients are Petrolatum and Salicylic Acid for mild exfoliation for kissable lips. This is the least "pretty" of the group, but does work as well if you can get past the thick formula and scent. I have just ordered Sarah Happ Lip Slip and scrub and hopefully they will arrive soon. This brand had been hyped by many in the media. I really do hope it lives up to it. The packaging is so sweet and I am a sucker for little boxes with bows.